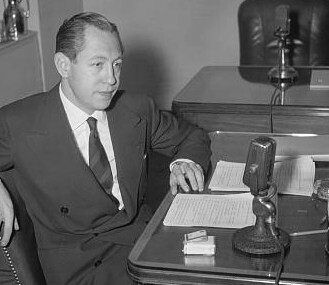 William Samuel Paley was the chief executive who built the Columbia Broadcasting System (CBS) from a small radio network into one of the foremost radio and television network operations in the United States. Tiffany & Co. is an American luxury jewelry and specialty retailer, headquartered in New York City. It sells jewelry, sterling silver, china, crystal, stationery, fragrances, water bottles, watches and personal accessories, as well as some leather goods. There are two types of radio network currently in use around the world: the one-to-many broadcast network commonly used for public information and mass-media entertainment, and the two-way radio type used more commonly for public safety and public services such as police, fire, taxicabs, and delivery services. Cell phones are able to send and receive simultaneously by using two different frequencies at the same time. Many of the same components and much of the same basic technology applies to all three. In the broadcasting industry, an owned-and-operated station usually refers to a television or radio station that is owned by the network with which it is associated. This distinguishes such a station from an affiliate, which is independently owned and carries network programming by contract. Arthur Leon Judson was an artists' manager who also managed the New York Philharmonic and Philadelphia Orchestra and was also the founder of CBS. He co-founded the Handel Society of New York with entrepreneur James Grayson in 1966. WPHT is a commercial AM radio station licensed to serve Philadelphia, Pennsylvania. The station is owned by Entercom and broadcasts a talk radio format. Its transmitter and broadcast tower are located in Moorestown, New Jersey and its studios are at 400 Market Street in Philadelphia. A key early hire was Edward R. Murrow in 1935; his first corporate title was Director of Talks. He was mentored in microphone technique by Robert Trout, the lone full-time member of the News Division, and quickly found himself in a growing rivalry with boss White. Murrow was glad to "leave the hothouse atmosphere of the New York office behind"  when he was dispatched to London as CBS's European Director in 1937, a time when the growing Hitler menace underscored the need for a robust European Bureau. Halberstam described Murrow in London as "the right man in the right place in the right era". Murrow began assembling the staff of broadcast journalists – including William L. Shirer, Charles Collingwood, Bill Downs, and Eric Sevareid – who would become known as the "Murrow Boys". They were "in [Murrow's] own image, sartorially impeccable, literate, often liberal, and prima donnas all". They covered history in the making, and sometimes made it themselves: on March 12, 1938, Hitler boldly annexed nearby Austria and Murrow and Boys quickly assembled coverage with Shirer in London, Edgar Ansel Mowrer in Paris, Pierre Huss in Berlin, Frank Gervasi in Rome and Trout in New York. This bore the News Round-Up format, which is still ubiquitous today in broadcast news. The retirement of Arthur Godfrey in April 1972 marked the end of long-form programming on CBS radio; programming thereafter consisted of hourly news summaries and news features, known in the 1970s as Dimension, and commentaries, including the Spectrum series that evolved into the "Point/Counterpoint" feature on the television network's 60 Minutes and First Line Report, a news and analysis feature delivered by CBS correspondents. The network also continued to offer traditional radio programming through its weeknightly CBS Radio Mystery Theater , the lone sustained holdout of dramatic programming, from 1974 to 1982, though shorter runs were given to the General Mills Radio Adventure Theater and the Sears Radio Theater in the 1970s; otherwise, most new dramatic radio was carried on public and to some extent religious stations. The CBS Radio Network continues to this day, offering hourly newscasts, including its centerpiece CBS World News Roundup in the morning and evening, weekend sister program CBS News Weekend Roundup , the news-related feature segment The Osgood File , What's In the News, a one-minute summary of one story, and various other segments such as commentary from Seattle radio personality Dave Ross, tip segments from various other sources, and technology coverage from CBS Interactive property CNET. WCBS-TV would ultimately be the only station (as of 2013 [update] ) built and signed on by CBS. The rest of the stations would be acquired by CBS, either in an ownership stake or outright purchase. In television's early years, the network bought Washington, D.C. affiliate WOIC (now WUSA) in a joint venture with The Washington Post in 1950, only to sell its stake to the Post in 1954 due to then-tighter FCC ownership regulations. CBS would also temporarily return to relying on its own UHF technology by owning WXIX in Milwaukee (now CW affiliate WVTV) and WHCT in Hartford, Connecticut (now Univision affiliate WUVN), but as UHF was not viable for broadcasting at the time (due to the fact that most television sets of the time were not equipped with UHF tuners), CBS decided to sell those stations off and affiliate with VHF stations WITI and WTIC-TV (now WFSB), respectively. CBS did attempt to sign on a station in Pittsburgh after the "freeze" was lifted, as that city was then the sixth-largest market but only had one commercial VHF station in DuMont-owned WDTV, while the rest were either on UHF (the modern-day WPGH-TV and WINP-TV) or public television (WQED). Although the FCC turned down CBS's request to buy the channel 9 license in nearby Steubenville, Ohio and move it to Pittsburgh (that station, initially CBS affiliate WSTV-TV, is now NBC affiliate WTOV-TV), CBS did score a major coup when Pittsburgh-based Westinghouse Electric (a co-founder of NBC with RCA) bought WDTV from struggling DuMont and opted to affiliate the now-recalled KDKA-TV with CBS instead of NBC (like KDKA radio) due to NBC extorting and coercing Westinghouse to trade KYW radio and WPTZ (now KYW-TV) for Cleveland stations WTAM, WTAM-FM (now WMJI), and WNBK (now WKYC); the trade ended up being reversed in 1965 by order of the FCC and the United States Department of Justice after an eight-year investigation. Had CBS not been able to affiliate with KDKA-TV, it would have affiliated with eventual NBC affiliate WIIC-TV (now WPXI) once it signed on in 1957 instead. This coup would eventually lead to a much stronger relationship between Westinghouse and CBS decades later. The "talent raid" on NBC of the mid-1940s had brought over established radio stars, who became stars of CBS television programs as well. One reluctant CBS star refused to bring her radio show, My Favorite Husband , to television unless the network would recast the show with her real-life husband in the lead. I Love Lucy debuted in October 1951, and was an immediate sensation, with 11 million out of a population of 15 million Television sets watching (73% share). Paley and network president Frank Stanton had so little faith in the future of Lucille Ball's series, that they granted her wish and allowed her husband, Desi Arnaz, to take financial control of the comedy's production. This was the making of the Ball-Arnaz Desilu empire, and became the template for series production to this day; it also served as the template for some television conventions that continue to exist including the use of a multiple cameras to film scenes, the use of a studio audience and the airing of past episodes for syndication to other television outlets. The phenomenal success of a prime-time, big-money quiz show, The $64,000 Question , propelled its creator, Louis G. Cowan, first to an executive position as CBS's vice-president of creative services, then to the presidency of the CBS TV network itself. When the quiz show scandals involving "rigged" questions surfaced in 1959, Cowan was fired by CBS. As television came to the forefront of American entertainment and information, CBS dominated television as it once had radio. [ citation needed ] In 1953, the CBS television network would make its first profit,  and would maintain dominance on television between 1955 and 1976 as well. By the late 1950s, the network often controlled seven or eight of the slots on the "top ten" ratings list with well-respected shows like Route 66 . While the "rural" shows got the axe, new hits, like The Mary Tyler Moore Show , All in the Family , The Bob Newhart Show , Cannon , Barnaby Jones , Kojak and The Sonny & Cher Comedy Hour took their place on the network's schedule and kept CBS at the top of the ratings through the early 1970s. The majority of these hits were overseen by then East Coast vice president Alan Wagner. 60 Minutes also moved to the 7:00 p.m. Eastern Time slot on Sundays in 1975 and became the first ever prime time television news program to enter the Nielsen Top 10 in 1978. One of CBS's most popular shows during the period was M*A*S*H , a dramedy that ran for 11 seasons from 1972 to 1983 and was based on the hit Robert Altman film; as with the film, the series was set during the Korean War in a Mobile Army Surgical Hospital. The 2½-hour series finale, in its initial airing on February 28, 1983, had peak viewership of up to 125 million Americans (77% of all television viewership in the U.S. that night), which established it as the all-time most watched single U.S. television episode; it also held the ubiquitous distinction of having the largest single-night primetime viewership of any television program in U.S. history until it was surpassed by the Super Bowl, which have taken the record consistently since 2010 (through the annual championship game's alternating telecasts by CBS and rival networks Fox and NBC). Silverman also first developed his strategy of spinning new shows off from established hit series while at CBS, with Rhoda and Phyllis spun from The Mary Tyler Moore Show, Maude and The Jeffersons spun from All in the Family and Good Times from Maude. After Silverman's departure, CBS dropped behind ABC for second place in the 1976–77 season, but still rated strongly, based on its earlier hits and some new ones: One Day at a Time , Alice , Lou Grant , WKRP in Cincinnati , The Dukes of Hazzard and, the biggest hit of the early 1980s, Dallas , the latter of which holds the record for the all-time most watched non-series finale single U.S. television episode – the November 21, 1980, primetime telecast of the resolution episode of the internationally prominent "Who Shot J.R.?" cliffhanger. In 1984, The Cosby Show and Miami Vice debuted on NBC and immediately garnered high ratings, helping to bring that network back to first place by the 1985–86 season with a slate that included several other hits (such as Amen , Family Ties , Cheers , The Golden Girls , The Facts Of Life , L.A. Law and 227 ). ABC had in turn also rebounded with hits such as Dynasty , Who's the Boss? , Hotel , Growing Pains , The Wonder Years , and Roseanne . Some of the groundwork had been laid as CBS fell in the ratings, with hits Simon & Simon, Falcon Crest, Murder, She Wrote, Kate & Allie and Newhart still on the schedule from the most recent resurgence, and future hits Designing Women , Murphy Brown , Jake and the Fatman and newsmagazine 48 Hours having debuted during the late 1980s. The network was also still getting decent ratings for 60 Minutes, Dallas and Knots Landing; however, the ratings for Dallas were a far cry from what they were in the early 1980s. During the early 1990s, the network would bolster its sports lineup by obtaining the broadcast television rights to Major League Baseball from ABC and NBC and the Winter Olympics from ABC despite losing the National Basketball Association to NBC after the 1989–90 NBA season. Under network president Jeff Sagansky, the network was able to earn strong ratings from new shows Diagnosis: Murder ; Touched by an Angel ; Dr. Quinn, Medicine Woman ; Walker, Texas Ranger, Picket Fences and a resurgent Jake and the Fatman during this period, and CBS was able to reclaim the first place crown briefly, in the 1992–93 season; however, a drawback for the network during this time-frame was that its programming slate skewed towards an older demographic than ABC, NBC or even Fox, with its relatively limited presence at that time; a joke even floated around that CBS was "the network for the living dead" during this period. In 1993, the network made a breakthrough in establishing a successful late-night talk show franchise to compete with NBC's The Tonight Show when it signed David Letterman away from NBC after the Late Night host was passed over as Johnny Carson's successor on Tonight in favor of Jay Leno. The loss of the NFL, along with an ill-fated effort to court younger viewers, led to a drop in CBS's ratings. One of the shows that was affected was the Late Show with David Letterman , which saw its viewership decline in large part due to the affiliation switches, at times even landing in third place in its timeslot behind ABC's Nightline ; as a result, NBC's The Tonight Show with Jay Leno , which the Late Show often dominated over during the first two years of that show's run, became the top-rated late-night talk show. Still, CBS was able to produce some hits during the mid-1990s, such as The Nanny , JAG (which moved to the network from NBC), Chicago Hope , Cosby , Cybill , Touched by an Angel and Everybody Loves Raymond . CBS attempted to court families on Fridays with the launch of a family-oriented comedy block, the "CBS Block Party", in the 1997–98 season (consisting of Family Matters , Step by Step , Meego and The Gregory Hines Show , all but the latter coming from Miller-Boyett Productions, which had maintained a relationship with ABC during the late 1980s and 1990s). The lineup failed to compete against ABC's "TGIF" lineup (which saw its own viewership erode that season): Meego and Hines were cancelled by November, while Family Matters and Step by Step were put on hiatus and ended their runs in the summer of 1998. That winter, CBS aired its last Olympic Games to date with its telecast of the 1998 Winter Games in Nagano; NBC, which had already held the rights to the Summer Olympics since 1988, took over coverage of the Winter Olympics beginning with the 2002 Games. The building blocks for the network's return to the top of the ratings were put in place in 1997, when CBS regained the NFL through its acquisition of the broadcast television rights to the American Football Conference (stripping that package from NBC after 32 years), effective with the 1998 season. The contract was struck shortly before the AFC's emergence as the dominant NFL conference over the NFC, spurred in part by the turnaround of the New England Patriots in the 2000s. With the help of the AFC package, CBS surpassed NBC for first place in the 1998–1999 season; however, it was beaten by ABC the following year. The network gained additional hits in the late 1990s and early 2000s with series such as The King of Queens , Nash Bridges , Judging Amy , Becker and Yes, Dear . Another turning point for CBS came in the summer of 2000 when it debuted the summer reality shows Survivor and Big Brother , which became surprise summer hits for the network. In January 2001, CBS debuted the second season of Survivor after its broadcast of Super Bowl XXXV and scheduled it on Thursdays at 8:00 p.m. Eastern Time; it also moved the investigative crime drama CSI (which had debuted that fall in the Friday 9:00 p.m. time slot) to follow Survivor at 9:00 p.m. on Thursdays. The pairing of the two shows was both able to chip away at and eventually beat NBC's Thursday night lineup, and attract younger viewers to the network. During the 2000s, CBS found additional successes with a slew of police procedurals (several of which were produced by Jerry Bruckheimer) including Cold Case , Without a Trace , Criminal Minds , NCIS and The Mentalist , along with CSI spinoffs CSI: Miami and CSI: NY . The network also featured several prominent sitcoms like Still Standing , Two and a Half Men , How I Met Your Mother , The New Adventures of Old Christine , Rules of Engagement and The Big Bang Theory , as well as the reality show The Amazing Race . The network's programming slate, buoyed largely by the success of CSI, briefly led the network to retake first place in the ratings from NBC in the 2002–03 season. The decade also saw CBS finally make ratings headway on Friday nights, a perennial weak spot for the network, with a focus toward drama series such as Ghost Whisperer and the relatively short-lived but critically acclaimed Joan of Arcadia . CBS became the most watched American broadcast television network once again in the 2005–06 season, an achievement that the network proclaimed in on-air promotions as being "America's Most Watched Network" (a term it would use again in the 2011–12 season). This lasted until the 2007–08 season, when Fox overtook CBS for first, becoming the first non-Big Three network to earn the title as the most watched network overall in the United States; despite CBS's continued strong lineup, Fox's first-place finish that season was primarily due to its reliance on American Idol (the longest reigning #1 prime time U.S. television program from 2004 to 2011) and the effects of the 2007–08 Writers Guild of America strike. CBS retook its place as the top-rated network in the 2008–09 season, where it has remained every season since. Fox and CBS, both having ranked as the highest rated of the major broadcast networks during the 2000s, tend to nearly equal one another in the 18–34, 18–49 and 25–54 demographics, with either network alternating in placing first in either of these groups by very close margins. NCIS, which has been the flagship of CBS's Tuesday lineup for much of its run, became the network's highest-rated drama by the 2007–08 season. The 2010s saw additional hits for the network including drama series The Good Wife ; police procedurals Person of Interest , Blue Bloods , Elementary , Hawaii Five-0 and NCIS spin-off NCIS: Los Angeles ; reality series Undercover Boss ; and sitcoms 2 Broke Girls and Mike & Molly . The Big Bang Theory, one of several sitcoms from veteran writer/producer Chuck Lorre, started off with modest ratings but saw its viewership skyrocket (earning per episode ratings of up to 17 million viewers) to become the top-rated network sitcom in the U.S. by the 2010–11 season, as well as the second most watched U.S. television program starting from the 2013–14 season, when the series became the anchor of the network's Thursday lineup. Meanwhile, the Lorre-produced series it overtook for the position, Two and a Half Men, saw its ratings decline to respectable levels for its final four seasons following the 2011 firing of original star Charlie Sheen (due to a dispute with Lorre) and the addition of Ashton Kutcher as its primary lead. The specials included the Ford Star Jubilee programs (which included the first telecast ever of Metro-Goldwyn-Mayer (MGM)'s 1939 film classic The Wizard of Oz ) as well as the 1957 telecast of Rodgers and Hammerstein's Cinderella ; Cole Porter's musical version of Aladdin ; and Playhouse 90 's only color broadcast, the 1958 production of The Nutcracker , featuring choreography by George Balanchine. The Nutcracker telecast was based on the famous production staged annually since 1954 in New York, and performed by the New York City Ballet. CBS would later show two other versions of the ballet, a semi-forgotten one-hour German-American version hosted by Eddie Albert, shown annually for three years beginning in 1965, and the well-loved Mikhail Baryshnikov production from 1977 to 1981 (this production later moved to PBS). Beginning in 1959, The Wizard of Oz, now telecast by CBS as a family special in its own right (after the cancellation of Ford Star Jubilee), became an annual tradition on color television. However, it was the success of NBC's 1955 telecast of the musical Peter Pan , starring Mary Martin, the most watched television special of its time, that inspired CBS to telecast The Wizard of Oz, Cinderella and Aladdin. In 1967, NBC outbid CBS for the rights to the annual telecast of The Wizard of Oz , with the film moving to NBC beginning the following year. However, the network quickly realized their mistake in allowing what was then one of its prime ratings winners to be acquired by another network, and by 1976, CBS reacquired the television rights to the film, with the network continuing to broadcast it through the end of 1997. CBS aired The Wizard of Oz twice in 1991, in March and again the night before Thanksgiving. Thereafter, it was broadcast on the night before Thanksgiving. In other diversification attempts, CBS would buy (and later sell) a varied number of other properties including sports teams (especially the New York Yankees baseball club), book and magazine publishers (Fawcett Publications including Woman's Day , and Holt, Rinehart and Winston), map-makers and toy manufacturers (Gabriel Toys, Child Guidance, Wonder Products, Gym Dandy and Ideal), and X-Acto knives.,  and distributors of educational films and film strips, Bailey Films Inc. and Film Associates of California, which it merged into one company, BFA Educational Media. CBS also developed an early home video system called EVR (Electronic Video Recording), but was never able to launch it successfully. Through its CBS Productions unit, the company produced a few shows for non-CBS networks, like NBC's Caroline in the City . CBS entered the publishing business in 1967 by acquiring Holt, Rinehart & Winston, a publisher of trade books and textbooks as well as the magazine Field & Stream . The following year, CBS acquired the medical publishing company Saunders and merged it into Holt, Rinehart & Winston. In 1971, CBS acquired Bond/Parkhurst, the publisher of Road & Track and Cycle World . CBS greatly expanded its magazine business by purchasing Fawcett Publications in 1974, bringing in such magazines as Woman's Day. In 1984, it acquired the majority of the publications owned by Ziff Davis. CBS made a brief, unsuccessful move into film production in the late 1960s, through the creation of Cinema Center Films. This profit-free unit was shut down in 1972; the distribution rights to the Cinema Center library today rest with Paramount Pictures for home video (via CBS Home Entertainment) and theatrical release, and with CBS Television Distribution for television syndication (most other ancillary rights remain with CBS). The studio released such films as the 1969 Steve McQueen drama The Reivers and the 1970 Albert Finney musical Scrooge . CBS's Ed Sullivan Theater in Manhattan, former home of the Late Show with David Letterman . Now houses The Late Show with Stephen Colbert . Following the Infinity purchase, operation and sales responsibilities for the CBS Radio Network was handed to Infinity, which turned management over to Westwood One, a major radio program syndicator that Infinity managed which had previously purchased the Mutual Broadcasting System, NBC's radio networks and the rights to use the "NBC Radio Networks" name. For a time, CBS Radio, NBC Radio Networks and CNN's radio news services were all under the Westwood One umbrella. As of 2008 [update] , Westwood One continues to distribute CBS radio programming, but as a self-managed company that put itself up for sale and found a buyer for a significant amount of its stock. In 1999, CBS paid $2.5 billion to acquire King World Productions, a television syndication company whose programs included The Oprah Winfrey Show , Jeopardy! and Wheel of Fortune . By the end of 1999, all pre-CBS elements of Westinghouse's industrial past (beyond retaining rights to the name for brand licensing purposes) were gone. As a result of the Viacom/CBS corporate split, as well as other acquisitions over recent years, CBS (under the moniker CBS Studios) owns a massive film and television library spanning nine decades; these include acquired material from Viacom and CBS in-house productions and network programs, as well as programs (many originally produced by Paramount and others) originally aired on competing networks (such as ABC and NBC). Shows and other material in this library include among others, I Love Lucy, The Honeymooners , The Twilight Zone , Hawaii Five-O (both the original and current remake), Gunsmoke , The Fugitive , The Love Boat , Little House on the Prairie (U.S. television rights only), Cheers , Becker , Family Ties , Happy Days and its spin-offs, The Brady Bunch , Star Trek , The Young Indiana Jones Chronicles (distribution rights on behalf of copyright holder Lucasfilm), Evening Shade , Duckman , CSI: Crime Scene Investigation and its spin-offs, the CBS theatrical library (including My Fair Lady and Scrooge ), and the entire Terrytoons library from 1930 forward. As of 2013 [update] , CBS provides 87½ hours of regularly scheduled network programming each week. The network provides 22 hours of prime time programming to affiliated stations Monday through Saturday from 8:00–11:00 p.m. Eastern and Pacific (7:00–10:00 p.m. Central/Mountain) and Sunday from 7:00–11:00 p.m. (6:00–10:00 p.m. Central/Mountain). Daytime programming is also provided between 10:00 a.m. to 3:00 p.m. weekdays (including a half-hour break for local news) featuring the game shows The Price Is Right and Let's Make a Deal , soap operas The Young and the Restless and The Bold and the Beautiful , and talk show The Talk . CBS News programming includes CBS This Morning from 7:00 to 9:00 a.m. weekdays and Saturdays; nightly editions of CBS Evening News , the Sunday political talk show Face the Nation , early morning news program CBS Morning News . and the newsmagazines 60 Minutes , CBS News Sunday Morning , and 48 Hours . Late nights feature the weeknight talk shows The Late Show with Stephen Colbert and The Late Late Show with James Corden . CBS Sports programming is also provided most weekend afternoons. Due to the unpredictable length of sporting events, CBS will occasionally delay scheduled primetime programs to allow the programs to air in their entirety, a practice that is most common on Sunday evenings during the NFL season. In addition to rights to sports events from the NFL, PGA and NCAA among other major sports organizations, CBS broadcasts the CBS Sports Spectacular , a sports anthology series which fills certain weekend afternoon time slots prior to – or in some cases, in lieu of – a major sporting event. CBS's daytime schedule is the longest among the major networks at 4½ hours. It is the home of the long-running game show The Price Is Right, which began production in 1972 and is the longest continuously running daytime game show on network television. After being hosted by Bob Barker for 35 years, the show has been hosted since 2007 by actor/comedian Drew Carey. The network is also home to the current incarnation of Let's Make a Deal , hosted by singer/comedian Wayne Brady. As of 2018 [update] , CBS is the only commercial broadcast network that continues to broadcast daytime game shows. Notable game shows that once aired as part of the network's daytime lineup include Match Game, Tattletales , The $10/25,000 Pyramid , Press Your Luck , Card Sharks , Family Feud and Wheel of Fortune . Past game shows that have had both daytime and prime time runs on the network include Beat the Clock , To Tell the Truth and Password. Two long-running prime time-only games were the panel shows What's My Line? and I've Got a Secret . The network is also home to The Talk , a panel talk show similar in format to ABC's The View , which debuted in October 2010 (as of 2018 [update] , the program is hosted by moderator Julie Chen, series creator/executive producer Sara Gilbert, Sharon Osbourne, Eve and Sheryl Underwood). As of September 2013 [update] , CBS Daytime airs two daytime soap operas each weekday: the hour-long series The Young and the Restless (debuted in 1973) and half-hour series The Bold and the Beautiful (debuted in 1987). CBS has long aired the most soap operas out of the Big Three networks, carrying 3½ hours of soaps on its daytime lineup from 1982 to 2009, and still retains the longest daily schedule. Other than Guiding Light, notable daytime soap operas that once aired on CBS include As the World Turns , Love of Life , Search for Tomorrow , The Secret Storm , The Edge of Night and Capitol . CBS broadcast the live-action series Captain Kangaroo on weekday mornings from 1955 to 1982, and on Saturdays through 1984. From 1971 to 1986, CBS News produced a series of one-minute segments titled In the News , which aired between other Saturday morning programs. Otherwise, in regards to children's programming, CBS has aired mostly animated series for children, such as reruns of Mighty Mouse , Bugs Bunny and Tom and Jerry cartoons, as well as the original version of Scooby-Doo , Fat Albert and the Cosby Kids , Jim Henson's Muppet Babies , Garfield and Friends , and the 1987 Teenage Mutant Ninja Turtles. In 1997, CBS premiered Wheel 2000 (a children's version of the syndicated game show Wheel of Fortune), which aired simultaneously on the Game Show Network. After its agreement with Nelvana ended, the network then entered into a deal with Nickelodeon (which by the time of the deal was a corporate sister to CBS, through the latter's then parent company Viacom, as a result of its 2000 merger with CBS Corporation) to air programming from its Nick Jr. block beginning in September 2000 under the banner Nick Jr. on CBS . From 2002 to 2005, live-action and animated Nickelodeon series aimed at older children also aired as part of the block, under the sub-brand Nick on CBS. On June 1, 1977, it was announced that Elvis Presley had signed a deal with CBS to appear in a new television special. Under the agreement, CBS would videotape Presley's concerts during the summer of 1977; the special was filmed during Presley's final tour at stops in Omaha, Nebraska (on June 19) and Rapid City, South Dakota (on June 21 of that year). CBS aired the special, Elvis in Concert , on October 3, 1977,  nearly two months after Presley's death in his Graceland mansion on August 16. As of April 2018 [update] , CBS has 16 owned-and-operated stations, and current and pending affiliation agreements with 227 additional television stations encompassing 49 states, the District of Columbia, two U.S. possessions, Bermuda and St. Vincent and the Grenadines. The network has a national reach of 96.52% of all households in the United States (or 301,605,729 Americans with at least one television set). Currently, New Jersey, New Hampshire and Delaware are the only U.S. states where CBS does not have a locally licensed affiliate (New Jersey is served by New York City O&O WCBS-TV and Philadelphia O&O KYW-TV; Delaware is served by KYW and Salisbury, Maryland affiliate WBOC-TV; and New Hampshire is served by Boston O&O WBZ-TV and Burlington, Vermont affiliate WCAX-TV). The standard corporate typeface used by CBS since the 1950s is Didot , a close relative to Bodoni . Several of the typefaces used by CBS over the years were designed by Herb Lubalin of International Typeface Corporation, an associate of CBS art director Lou Dorfsman. These typefaces include Avant Garde , Lubalin Graph, and Serif Gothic. In 1995, CBS refused to air a 60 Minutes segment that featured an interview with a former president of research and development for Brown & Williamson, the U.S.'s third largest tobacco company. The controversy raised questions about the legal roles in decision-making and whether journalistic standards should be compromised despite legal pressures and threats. The decision nevertheless sent shockwaves throughout the television industry, the journalism community, and the country. This incident was the basis for the 1999 Michael Mann-directed drama film, The Insider . Fred Silverman 1970–1975 In 1970, Silverman was promoted from vice-president of program planning and development to Vice President, Programs – heading the network's entire programming department. Silverman was the chief architect of the "rural purge" of 1971, which eventually eliminated many popular country-oriented shows (such as Green Acres , Mayberry R.F.D. , Hee Haw and The Beverly Hillbillies ) from the CBS schedule. In their place, however, came a new wave of classics aimed at the upscale baby boomer generation (such as All in the Family , The Mary Tyler Moore Show , M*A*S*H , The Waltons , Cannon, Barnaby Jones, Kojak and The Sonny & Cher Comedy Hour ). Silverman had an uncanny ability to spot burgeoning hit material, especially in the form of spin-offs, new television series developed with characters originating on an existing series. For example, he spun off Maude and The Jeffersons from All in the Family, and Rhoda from Mary Tyler Moore (as well as The Bob Newhart Show from MTM's writers). In early 1974, Silverman ordered a Maude spin-off titled Good Times ; that show's success led Silverman to schedule it against ABC's new hit, Happy Days , the following fall. In other dayparts, Silverman also reintroduced game shows to the network's daytime lineup in 1972 after a four-year absence; among the shows Silverman introduced was an updated version of the 1950s game show The Price Is Right, which remains on the air nearly four decades later. After the success of The Price Is Right, Silverman would establish a working relationship with Mark Goodson and Bill Todman in which most of their game shows would air on CBS, including a revival of Match Game. Under Silverman's tenure, CBS also ended the practice of wiping and saved as much of its recorded content as possible, while other networks recycled tapes constantly to save money. On Saturday mornings, Silverman commissioned Hanna-Barbera to produce the animated series Scooby-Doo, Where Are You? (one of the show's main characters, Fred Jones, is named after Silverman). The success of Scooby-Doo led to several other Hanna-Barbera series airing on CBS in the early 1970s. Leslie Moonves 1995–1998  Moonves joined CBS in July 1995 as president of CBS Entertainment. He was promoted to President and Chief Executive Officer at CBS Television in April 1998, a position he held until his promotion to Chairman and CEO of CBS Inc. in 2003. Moonves oversees all operations of CBS Corporation, including the CBS television network, The CW (a joint venture between CBS Corporation and Warner Bros. Entertainment formed in 2006 through the concurrent shutdowns of The WB and UPN), CBS Television Stations, CBS Television Studios, CBS Television Distribution, Showtime, CBS Radio, CBS Records, CBS Outdoor, Simon & Schuster, CBS Interactive, CBS Consumer Products, CBS Home Entertainment, CBS Outernet and CBS Films. During this time (2003), CBS became America's most watched television network, going from last to first. Among the shows that have given CBS a new lease on life is the CSI franchise and Survivor. CBS had six of the ten most-watched primetime shows in the final quarter of 2005: CSI, Without a Trace, CSI: Miami, Survivor: Guatemala , NCIS and Cold Case. ↑ "Westinghouse Bids for Role In the Remake : CBS Deal Advances TV's Global Reach". The New York Times . The New York Times Company. August 2, 1995. Retrieved March 12, 2015. ↑ Jeremy Gerard (October 28, 1990). "William S. Paley, Who Built CBS Into a Communications Empire, Dies at 89". The New York Times. The New York Times Company. ↑ "Fortune 500 Companies 2018". fortune.com. Retrieved March 18, 2019. ↑ Erik Barnouw (1966). A Tower in Babel: A History of Broadcasting in the United States to 1933. New York City: Oxford University Press. p. 222. ISBN 978-0-19-500474-8. ↑ "Columbia System Ready to Go" (PDF). Radio Digest (Vol. XXII Number 2). September 1927. pp. 5 and 20. Retrieved July 29, 2017. ↑ Bergreen, p. 56. The station changed frequencies again, to 880 kHz, in the Federal Communications Commission (FCC)'s 1941 reassignment of stations (NARBA); in 1946, WABC was renamed WCBS. ↑ Erik Barnouw (1968). The Golden Web: A History of Broadcasting in the United States, 1933–1953. New York City: Oxford University Press. p. 57. ISBN 978-0-19-500475-5. ↑ "LPs historic". Musicinthemail.com. Retrieved February 11, 2012. 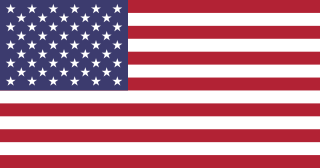 ↑ "Viva America". Radiogoldindex.com. Retrieved February 11, 2012. ↑ "Columbia Broadcasting System". Museum of Broadcast Communications. ↑ "CBS Color Television System Chronology". Novia.net. Archived from the original on September 22, 2013. ↑ John Dunning (1998). On The Air: The Encyclopedia of Old-Time Radio. New York City: Oxford University Press. p. 742. ISBN 0-19-507678-8. ↑ Entercom Communications Corp. (2017-11-16). "Form 8-K". Securities and Exchange Commission. Retrieved 2017-11-17. ↑ "W2XAB – CBS, New York". Earlytelevision.org. Retrieved October 22, 2013. ↑ "CBS Color Television System Chronology". Novia.net. Archived from the original on September 22, 2013. Retrieved October 22, 2013. ↑ "St. Louis Handshake" (PDF). Broadcasting Telecasting . September 9, 1957. p. 5. Retrieved July 29, 2017. ↑ "Philadelphia Circle is Complete/Nine-year history of that trade in Philadelphia" (PDF). Broadcasting . August 3, 1964. pp. 23–25. Retrieved July 29, 2017. ↑ "Pittsburgh Ch. 11 Grantee to be CBS-TV Primary Outlet" (PDF). Broadcasting Telecasting . June 20, 1955. pp. 89–90. Retrieved July 29, 2017. 1 2 "Paley, William S". Museum of Broadcast Communications. ↑ Bowie, Stephen. "East Side/West Side". classictvhistory.com. Retrieved July 30, 2017. ↑ "Ken Berry interview". KenBerry.com. Archived from the original on September 3, 2000. ↑ Anthony Harkins (2005). Hillbilly: A Cultural History of an American Icon. Oxford University Press US. p. 203. ISBN 0-19-518950-7 . Retrieved March 23, 2009. ↑ Dennis Hevesi (December 22, 2007). "Alan Wagner, 76, First President of the Disney Channel, Is Dead". The New York Times. The New York Times Company. Retrieved June 22, 2009. 1 2 3 4 C. H. Sterling; J. M. Kittross (1990). Stay Tuned: A concise history of American broadcasting (2nd ed.). Belmont, California: Wadsworth. 1 2 "CBS (Creator) - TV Tropes". ↑ "NBC Gets Final N.F.L. Contract While CBS Gets Its Sundays Off". The New York Times . The New York Times Company. December 21, 1993. Archived from the original on November 14, 2011. Retrieved June 22, 2012. ↑ Weinstein, Steve (December 22, 1993). "The Saga of CBS (Can't Broadcast Sports?) and the Fox: Television: Is CBS' eye bloodied? How costly was Fox's Hail Mary play? An analysis of the NFL possession of the decade". Los Angeles Times . Retrieved July 29, 2017. ↑ Carter, Bill (May 24, 1994). "Fox Will Sign up 12 New Stations; Takes 8 from CBS". The New York Times . Retrieved July 29, 2017. ↑ Sandomir, Richard (September 10, 1994). "Fox Outbids CBS for N.H.L. Games". The New York Times. The New York Times Company. Retrieved March 20, 2008. ↑ Carter, Bill (May 15, 1995). "Letterman in London, Seeking Boost at Home". The New York Times . Retrieved July 29, 2017. ↑ Kent, Milton (September 4, 1998). "CBS mood positively 'electric' after reconnecting with NFL Intercepting AFC games caps network's comeback from rights turnover in '94". Baltimore Sun . Retrieved June 22, 2012. ↑ "Nielsen Television (TV) Ratings: Network Primetime Averages". Zap2It . Tribune Media Services. Archived from the original on March 30, 2009. ↑ "CBS-NFL marriage extended to Thursday nights in 2014". USA Today . Gannett Company . Retrieved July 29, 2017. ↑ "National Amusements Proposes Viacom, CBS Reunion, Cites "Substantial Synergies"". The Hollywood Reporter. Eldridge Industries . Retrieved December 30, 2016. ↑ "Shari Redstone withdraws CBS-Viacom merger proposal". CNBC . NBCUniversal . Retrieved 2016-12-17. ↑ Wang, Christine (2018-01-12). "Viacom, CBS shares surge after report Shari Redstone pursuing merge of companies". CNBC. Retrieved 2018-01-12. ↑ "The Walt Disney Company To Acquire Twenty-First Century Fox, Inc., After Spinoff Of Certain Businesses, For $52.4 Billion In Stock". The Walt Disney Company (Press release). December 14, 2017. Retrieved December 15, 2017. ↑ "These 4 Tech, Media Giants Are In Talks To Buy Lionsgate". Investor's Business Daily. Retrieved 2018-01-19. ↑ "Lionsgate Ripe For Takeover As Amazon, Verizon and CBS-Viacom Emerge As Potential Suitors". Deadline. Retrieved 2018-01-19. ↑ "CBS, Lionsgate, Viacom heat up media space M&A rumors". FierceCable. Retrieved 2018-01-26. ↑ "Everett Holles 1944 WCBW Newscast". Indiana University Archives. ↑ Mike Conway. "The Birth of CBS-TV News: Columbia's Ambitious Experiment at the Advent of U.S. Commercial Television". The Origins Of Television News In America. New York City: Peter Lang Publishing. ↑ "House of Miniatures Info" . Retrieved December 2, 2016. ↑ "Lieverson to Helm Group; Other Changes Made in the CBS Guard". Billboard. Nielsen Business Media Inc.: 1, 10 June 18, 1966. Retrieved February 16, 2011. ↑ "CBS Sells Stake In Tri-Star Inc". The New York Times. The New York Times Company. November 16, 1985. ↑ "ABC pre-empts CBS in Cleveland, Detroit" (PDF). Broadcasting and Cable . June 20, 1994. p. 7. Retrieved July 29, 2017. ↑ David Zurawik (September 13, 1991). "Smith family seeks to take Channel 2; WBFF owners' move could shift WMAR". Baltimore Sun. Retrieved March 18, 2013. ↑ Carter, Bill (July 15, 1994). "CBS to Add Three Affiliates in Deal With Westinghouse". The New York Times. The New York Times Company. Retrieved July 12, 2012. ↑ "CBS, Group W Form Historic Alliance" (PDF). Broadcasting and Cable . July 18, 1994. p. 14. Retrieved July 29, 2017. ↑ "The Broadcast Pioneers of Philadelphia – Ken Matz" . Retrieved January 3, 2015. ↑ Tom Jicha (November 22, 1994). "CBS, NBC changing channels". South Florida Sun-Sentinel . Fort Lauderdale, Florida: Tribune Publishing . Retrieved March 12, 2015. ↑ Sallie Hofmeister (August 2, 1995). "CBS Agrees to Buyout Bid by Westinghouse : Entertainment: $5.4-billion merger would create biggest TV, radio empire. But the deal faces obstacles". Los Angeles Times . Times Mirror Company. Retrieved March 12, 2015. ↑ Phil Rosenthal (September 16, 2005). "Moonves ready to play hardball in Viacom split". Chicago Tribune . Tribune Publishing . Retrieved July 13, 2012. 1 2 Schneider, Michael (June 15, 2000). "CBS picks Nick mix". Variety . Retrieved July 29, 2017. ↑ Kelly, Brendan (December 21, 1998). "CTV pacts for 3 Nelvana series". Variety . Retrieved July 29, 2017. ↑ "Cookie Jar and Dic Entertainment to Merge, Creating independent global children's entertainment and education powerhouse". Cookie Jar Group. June 20, 2008. Archived from the original on May 31, 2009. Retrieved December 23, 2008. ↑ "Cookie Jar Entertainment Expands Brand Portfolio, Talent and Global Reach with Closing of DIC Transaction". Cookie Jar Group . July 23, 2008. Archived from the original on May 31, 2009. Retrieved December 23, 2008. ↑ "DIC Names Programming Chief for New CBS Block". WorldScreen. March 7, 2006. Archived from the original on December 26, 2008. ↑ Guider, Elizabeth (January 19, 2006). "Synergy not kid-friendly at Eye web". Variety . Retrieved July 29, 2017. ↑ "CBS Reups With Kids Programmer Cookie Jar". Broadcasting & Cable . February 24, 2009. Retrieved February 26, 2009. ↑ "CBS Renews Cookie Jar Entertainment's Saturday Morning Block for Three More Seasons". Cookie Jar Group . February 24, 2009. Archived from the original on May 31, 2009. Retrieved March 25, 2009. ↑ "CBS Sets Lineup for Cookie Jar Block". WorldScreen. September 4, 2009. Archived from the original on September 12, 2009. Retrieved September 10, 2009. ↑ James, Meg (July 24, 2013). "CBS partners with Litton Entertainment for Saturday teen block". Los Angeles Times . Tribune Publishing. Retrieved July 25, 2013. ↑ "Richard Rodgers recreates a Cinderella to be remembered". San Mateo Times (TV Week ed.). February 19, 1966. p. 54. ↑ "U.S. pulchritude tops TV charts". The Globe and Mail . Associated Press. May 21, 1980. p. P15. ↑ "Pageant tops Nielsen ratings". The Globe and Mail. Associated Press. May 19, 1982. p. P15. ↑ "Beauty pageant most-watched show". The Globe and Mail Associated Press. May 18, 1983. p. P15. ↑ Lisa de Moraes (June 22, 2002). "There She Goes: Pageants Move to NBC". The Washington Post . The Washington Post Company. ↑ "Trump moves pageants from CBS to NBC". St. Petersburg Times. June 22, 2002. p. 2B. ↑ "NBC: Done With Donald Trump, Miss USA, Miss Universe – Update". Deadline Hollywood . Penske Media Corporation. June 29, 2015. Retrieved July 1, 2015. ↑ "Elvis in Concert". ElvisPresley.com.au. Archived from the original on May 4, 2009. 1 2 "Stations for Network – CBS". RabbitEars.info. Retrieved April 4, 2018. ↑ "CBS Affiliated Television Stations". stationindex.com. ↑ O'Connell, Michael (January 29, 2014). "CBS Extends Streaming Deal With Amazon Prime". The Hollywood Reporter . Prometheus Global Media . Retrieved July 18, 2015. ↑ Spangler, Todd (June 27, 2014). "CBS Summer of SVOD: Inside Amazon Deal for 'Under the Dome,' 'Extant'". Variety . Penske Media Corporation . Retrieved July 18, 2015. ↑ Steinberg, Brian (July 8, 2013). "CBS, Netflix Renew Streaming Pact for Library Programs". Variety . Penske Media Corporation. Retrieved July 18, 2015. ↑ Farrell, Mike (September 26, 2012). "Cablevision Lands CBS On Demand Content Part of Overall Carriage Deal with Network". Multichannel News . NewBay Media . Retrieved July 18, 2015. ↑ Shields, Mike (July 16, 2013). "Is Now the Time for CBS to Jump on Hulu?". AdWeek . Prometheus Global Media. Retrieved July 18, 2015. ↑ Schruers, Fred (September 15, 2011). "CBS' Moonves Happy Being No. 1, Especially Sans Hulu". The Wrap . The Wrap News Inc. Retrieved July 18, 2015. ↑ Lieberman, David (February 10, 2014). "CBS Expands Licensing Deal With Hulu Plus, Nearly Doubling Episodes". Deadline Hollywood. Penske Media Corporation. Retrieved July 18, 2015. ↑ Owen, Laura (October 4, 2013). "CBS now lets you watch full episodes of fall shows through its apps 8 days after they air". Gigaom . GigaOmniMedia, Inc. Retrieved July 18, 2015. 1 2 Stelter, Brian; Pallotta, Frank (October 16, 2014). "New way to watch CBS shows, for $6 a month". CNN Money . Time Warner . Retrieved July 17, 2015. ↑ Winslow, George (July 16, 2015). "CBS All Access Expands Access". Broadcasting & Cable . Retrieved July 17, 2015. ↑ Steel, Emily (October 16, 2014). "Cord-Cutters Rejoice: CBS Joins Web Stream". The New York Times . The New York Times Company. Retrieved July 17, 2015. ↑ Baldwin, Roberto (April 7, 2015). "CBS All Access launches on Roku with live streaming and VOD". Engadget . AOL . Retrieved July 19, 2015. ↑ Billy Steele (May 14, 2015). "CBS All Access app gets Chromecast support (Update: Fox and FXNow, too)". Engadget. AOL. Retrieved July 19, 2015. ↑ Cynthia Littleton (April 9, 2015). "CBS Affiliates Sign on to Expand Reach of All Access SVOD Service". Variety. Penske Media Corporation. Retrieved July 18, 2015. ↑ Michael Malone (April 22, 2015). "Five Gray TV Stations Launch CBS All Access". Broadcasting & Cable. NewBay Media. Retrieved July 19, 2015. ↑ Todd Spangler (May 14, 2015). "CBS Expands 'All Access' Live Local TV Streaming to Two-Thirds of U.S." Variety. Penske Media Corporation. Retrieved July 18, 2015. ↑ George Winslow (July 16, 2015). "CBS All Access Expands Access". Broadcasting & Cable . NewBay Media. Retrieved July 17, 2015. ↑ Annlee Ellingson (October 16, 2014). "Hulu holdout CBS launches on-demand and live streaming". L.A. Biz. 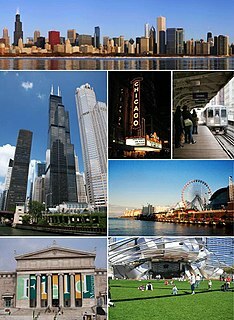 American City Business Journals . Retrieved July 18, 2015. ↑ "New Star Trek Television Series Coming In 2017 To CBS All Access – CBS.com". CBS. CBS Interactive. ↑ "The Good Wife Spinoff To Star Christine Baranski And Cush Jumbo". CBS. CBS Interactive. ↑ "'Big Brother': New Season Coming To CBS All Access This Fall". Archived from the original on August 3, 2016. Retrieved August 4, 2016. ↑ Karen Anderson Prikios (June 25, 2001). "Finding the art in HDTV". Broadcasting & Cable. Reed Business Information . Retrieved July 17, 2015. 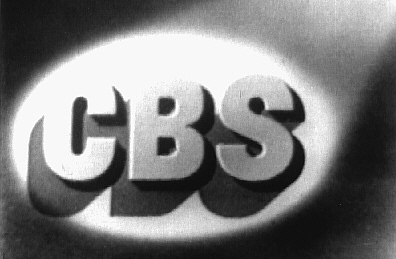 ↑ See an illustration of this early logo at "cbs-1949.jpg" (JPEG). Chuck Pharis Web Page. Retrieved February 16, 2011. ↑ Julie Lasky (editors: Steven Heller and Georgette Ballance) (2001). "The Search for Georg Olden". Graphic Design History. New York City: Allworth Press: 121–122. ↑ "CBS Logo: Design and History". FamousLogos.net. Retrieved May 2, 2011. 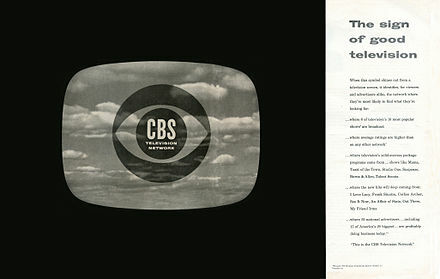 ↑ "The CBS Eye turns 60". CBS News . October 19, 2011. Retrieved July 30, 2017. ↑ "CBS, America's Most Watched Network, Also Posts The Largest Live Plus 7-Day DVR Lift During The 2010–2011 Season". TV by the Numbers . June 13, 2011. Retrieved May 14, 2013. ↑ furryisthenewedgy (May 16, 2008). "1961 CBS Friday Night Preview w/Rod Serling". YouTube . Retrieved July 30, 2017. ↑ "CBS Studios International Partners with Chellomedia on UK Television Channels" (Press release). Chello Zone. September 14, 2009. Archived from the original (DOC) on July 24, 2011. ↑ "CBS to launch UK channels with Chellomedia". Broadcastnow. September 14, 2009. ↑ Chris Curtis (October 1, 2009). "CBS channels to launch in UK". Broadcastnow. ↑ "Zone Horror rebrands as Horror Channel". Broadband TV News. March 31, 2010. ↑ Andrew Laughlin (October 1, 2009). "CBS to launch new UK channels". Digital Spy . Retrieved February 16, 2011. ↑ Mason, Max (2017-06-12). "Keeping Ten afloat relies on reworking 21st Century Fox and CBS TV deals". Australian Financial Review. Retrieved 22 November 2017. ↑ Danckert, Sarah (14 June 2017). "Network Ten heads into voluntary administration". The Sydney Morning Herald. Sydney. Retrieved 14 June 2017. ↑ Battersby, Lucy (11 July 2017). "CBS claiming debts of $843 million from Network Ten". The Sydney Morning Herald. Retrieved 16 November 2017. ↑ CBS Corporation Completes Acquisition Of Ten Network., Ten Network Holdings, 16 November 2017. ↑ "CBS Apologizes for Jackson Breast-Flash". Associated Press. February 2, 2004. Archived from the original on February 2, 2004. ↑ "Timberlake apologizes for revealing Super Bowl". CNN. February 8, 2004. ↑ Frank Ahrens (June 8, 2006). "The Price for On-Air Indecency Goes Up". The Washington Post. The Washington Post Company. p. D1. ↑ Ann Woolner (July 25, 2008). "Janet Jackson's Breast Freed, This Time by Court". Bloomberg L.P. Archived from the original on July 30, 2008. Retrieved July 25, 2008. ↑ Rebecca Leung (September 8, 2004). "New Questions On Bush Guard Duty, 60 Minutes Has Newly Obtained Documents On President's Military Service". CBS News. ↑ Murphy, Jarrett (February 11, 2009). "CBS Statement On Bush Memos". CBS News . Retrieved July 30, 2017. ↑ Dobbs, Michael; Kurtz, Howard (September 14, 2004). "Expert Cited by CBS Says He Didn't Authenticate Papers". The Washington Post . Retrieved July 30, 2017. ↑ Murphy, Jarrett (January 10, 2005). "CBS Ousts 4 For Bush Guard Story". CBS News . Retrieved July 30, 2017. ↑ Scott Mayerowitz (September 19, 2007). "Dan Rather Sues CBS for $70 Million". ABC News . ↑ "Who killed Dan Rather?". Salon.com. March 9, 2005. Archived from the original on May 17, 2008. Retrieved March 23, 2007. ↑ Jacques Steinberg (November 16, 2008). "Rather's Lawsuit Shows Role of G.O.P. in Inquiry". The New York Times. The New York Times Company. ↑ Matea Gold (January 13, 2010). "Dan Rather loses bid in CBS lawsuit". Los Angeles Times. Tribune Publishing. ↑ Joshua Topolsky (January 14, 2013). "Exclusive: CBS forced CNET staff to recast vote after Hopper won 'Best in Show' at CES". The Verge. Retrieved February 28, 2013. ↑ "Dish Recorder Snubbed for CNET Award Over CBS Legal Scuffle". The Wall Street Journal . News Corp. January 10, 2013. Retrieved January 11, 2013. 1 2 Chloe Albanesius. "CNET Picked Dish Hopper as 'Best of CES' ... Until CBS Stepped In". PC Magazine . Retrieved January 14, 2013. 1 2 "CNET loses CES awards following Dish Hopper controversy; DVR named 'Best In Show'". The Verge. January 31, 2013. ↑ Chloe Albanesius (January 31, 2013). "After CNET Snub, CEA Awards 'Best of CES' to Dish Hopper". PC Magazine. Retrieved February 28, 2013. ↑ Disis, Brian Stelter and Jill. "CBS reportedly negotiating exit for CEO Les Moonves". CNNMoney. Retrieved 2018-09-06. ↑ "As Leslie Moonves Negotiates His Exit from CBS, Six Women Raise New Assault and Harassment Claims". The New Yorker. Retrieved 10 September 2018. ↑ "Les Moonves Resigns As CEO Of CBS Amid Sexual Harassment Allegations". Headlines Today. Retrieved 10 September 2018. ↑ "James Aubrey Jr., 75, TV and Film Executive". The New York Times . The New York Times Company. September 12, 1994. Retrieved July 30, 2017. ↑ Andrew Grossman (June–July 2004). "The Smiling Cobra. (Profile of Aubrey)". Variety . pp. 68–73, 78. ↑ Joseph Barbera (1994). My Life in "Toons": From Flatbush to Bedrock in Under a Century. Atlanta, GA: Turner Publishing. pp. 163–173. ISBN 1-57036-042-1. ↑ Roberts, Sam (October 28, 2015). "John Backe Dies at 83; Put CBS Back Atop Prime Time". The New York Times . Retrieved July 30, 2017. 1 2 "CBS Entertainment Chief Is Leaving The Network". The New York Times . The New York Times Company. October 31, 1987. Retrieved July 30, 2017. ↑ Dagan, Carmel (July 25, 2011). "Bud Grant dies at 79, Was CBS Entertainment president in the '80s". Variety . Retrieved July 30, 2017. 1 2 "Sagansky Echoes Predecessors With Plans For CBS's Future". The Atlanta Journal and The Atlanta Constitution . Cox Enterprises. January 16, 1990. Retrieved August 22, 2012. 1 2 3 4 Carter, Bill (August 18, 1998). "The Media Business: CBS Fills President's Post At Entertainment Division". The New York Times . The New York Times Company. Retrieved July 30, 2017. ↑ "Nancy Tellem changing jobs at CBS". Los Angeles Times. Tribune Publishing. December 18, 2009. 1 2 Andreeva, Nellie. "Nina Tassler Leaving As CBS Entertainment Boss, Glenn Geller To Replace Her". Deadline Hollywood. 1 2 Rose, Lacey. "Leslie Moonves, Nina Tassler Open Up About "Teary" Goodbye". The Hollywood Reporter . The United Paramount Network (UPN) was an American broadcast television network that launched on January 16, 1995. The network was originally owned by Chris-Craft Industries and United Television; Viacom turned the network into a joint venture in 1996 after acquiring a 50% stake in the network, and subsequently purchased Chris-Craft's remaining stake in 2000. In December 2005, UPN was spun off to CBS Corporation when Viacom split into two separate companies. A terrestrial network is a group of radio stations, television stations, or other electronic media outlets, that form an agreement to air, or broadcast, content from a centralized source. For example, PBS (U.S.) and BBC (U.K.) are TV networks that provide programming for local terrestrial television station affiliates to air using signals that can be picked up by the home television sets of local viewers. Large networks are mostly national, but there is also a Global Television Network. WHEC-TV, virtual and VHF digital channel 10, is an NBC-affiliated television station licensed to Rochester, New York, United States. The station is owned by Saint Paul, Minnesota-based Hubbard Broadcasting. WHEC-TV's studios are located on East Avenue in Downtown Rochester, and its transmitter is located on Pinnacle Hill in Brighton, New York. WGCL-TV, virtual channel 46, is a CBS-affiliated television station licensed to Atlanta, Georgia, United States. The station is owned by the Meredith Corporation, as part of a duopoly with independent station WPCH-TV. The two stations share studios on 14th Street Northwest in Atlanta's Atlantic Station district; WGCL-TV's transmitter is located near Shepherds Lane and Arnold Avenue in the Woodland Hills section of northeastern Atlanta. On cable, the station is available on Comcast Xfinity channels 9, 809 and 1046, and on Charter Spectrum channels 4 and 704. WUPA, virtual channel 69, is a CW owned-and-operated television station licensed to Atlanta, Georgia, United States. The station is owned by the CBS Television Stations subsidiary of CBS Corporation. WUPA's studios are located on Northeast Expressway (I-85) in unincorporated DeKalb County, and its transmitter is located in North Druid Hills. WVTM-TV, virtual and VHF digital channel 13, is an NBC-affiliated television station licensed to Birmingham, Alabama, United States. The station is owned by the Hearst Television subsidiary of Hearst Communications. WVTM's studios and transmitter are located atop Red Mountain, between Vulcan Trail and Valley View Drive in southeastern Birmingham, adjacent to the Vulcan Statue and next to the studios of Fox affiliate WBRC. KDKA-TV, virtual channel 2, is a CBS owned-and-operated television station licensed to Pittsburgh, Pennsylvania, United States. The station is owned by the CBS Television Stations subsidiary of CBS Corporation, as part of a duopoly with Jeannette-licensed CW owned-and-operated station WPCW. The two stations share studios at the Gateway Center in downtown Pittsburgh; KDKA-TV's transmitter is located in the Perry North neighborhood of Pittsburgh. On cable, the station is carried on Comcast Xfinity channel 6, and Verizon FiOS channel 2. KYW-TV, virtual channel 3, is a CBS owned-and-operated television station licensed to Philadelphia, Pennsylvania, United States. The station is owned by the CBS Television Stations subsidiary of CBS Corporation, as part of a duopoly with CW owned-and-operated station WPSG. The two stations share studios on Hamilton Street north of Center City; KYW-TV's transmitter is located in the Roxborough section of Philadelphia. WPSG, virtual channel 57, is the East Coast flagship station of The CW Television Network, licensed to Philadelphia, Pennsylvania, United States. The station is owned by the CBS Television Stations subsidiary of CBS Corporation, and is part of a duopoly with CBS owned-and-operated station KYW-TV. The two stations share studios on Hamilton Street north of Center City Philadelphia; WPSG's transmitter is located in the Roxborough section of Philadelphia. KTVT, virtual channel 11, is a CBS owned-and-operated television station licensed to Fort Worth, Texas, United States and serving the Dallas–Fort Worth Metroplex. The station is owned by the CBS Television Stations subsidiary of CBS Corporation, as part of a duopoly with independent station KTXA, also licensed to Fort Worth. The two stations share primary studio facilities on Bridge Street, east of downtown Fort Worth; KTVT operates a secondary studio and newsroom—which also houses advertising sales offices for both stations, as well as the Dallas bureau for CBS News—at the CBS Tower on North Central Expressway and Coit Road in Dallas. KTVT's transmitter is located on Tar Road in Cedar Hill, just south of the Dallas–Ellis county line. KSLA, virtual channel 12, is a CBS-affiliated television station licensed to Shreveport, Louisiana, United States and also serving Texarkana, Texas. The station is owned by Gray Television. KSLA's studios are located on Fairfield Avenue and Dashiel Street in central Shreveport, and its transmitter is located near St. Johns Baptist Church Road in rural northern Caddo Parish. 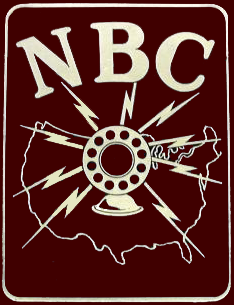 The National Broadcasting Company's NBC Radio Network was an American commercial radio network, founded in 1926. Along with the NBC Blue Network it was one of the first two nationwide networks established in the United States. Its major competitors were the Columbia Broadcasting System (CBS), founded in 1927, and the Mutual Broadcasting System, founded in 1934. WAGA-TV, virtual channel 5, is a Fox owned-and-operated television station licensed to Atlanta, Georgia, United States. The station is owned by the Fox Television Stations subsidiary of Fox Corporation. WAGA-TV's studios and transmitter are located on Briarcliff Road Northeast in the Druid Hills area of unincorporated DeKalb County, just outside the Atlanta city limits. On cable, the station is available on Comcast Xfinity channels 804 and 1005 and Charter Spectrum channel 5. Wikimedia Commons has media related to CBS .